It would be lovely to report that Britain’s bicycle industry is booming but, sadly, it is not. In fact, the global bicycle industry is currently in one of its trough periods, as I discuss in my ironically-named book, Bike Boom. This is not to say some companies are not doing well but those reporting stellar growth are bucking the trend. 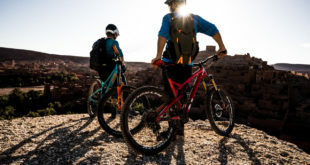 However, to many people bicycling appears to be booming, and media commentators often assume that seeing more cyclists on the streets and more cycling on the telly must mean bike shops and bicycle suppliers must be doing a roaring trade. We wish! Naturally, it’s not all doom and gloom but of all the analysts you’d think would know the true picture you’d think it would be those with money at the centre of their being. Yet Barclays Business Banking has issued a press release which, to put it mildly, is barking up the wrong tree. Seeking to tie in with recent racing successes by a certain Kenyan athlete the press release is headlined "Va-va Froome fever as Brits race to spend at cycling businesses". 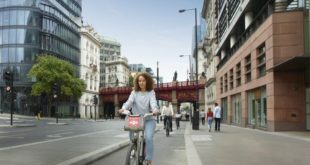 "Nation’s love affair with cycling has boosted SME turnover by 38 per cent in last 5 years," starts the press release, saying that Barclays had "found that between 2012 and 2017 SMEs who described themselves as cycling-related businesses saw an average increase in turnover of 38 per cent." The release also claimed that "Britain’s love affair with cycling is boosting the UK economy." Barclays claims that "not only are Brits spending more on their bike obsession … but since the podium success of London 2012 there’s been a surge in Brits taking their passion for cycling up a gear, with the number of cycling clubs, societies, and charity events up by nearly 50 per cent." 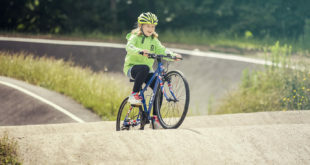 Ian Rand, CEO of Barclays Business Banking, was quoted in the release as saying: “Britain’s clearly a nation of cycling enthusiasts and it’s great to see how the nation’s hobby has boosted small businesses across the country." “Our research is very much based on the analysis of our own customers between 2012 and 2017. Because it’s specific to that customer base, it may just be that it varies across the industry. This is what we’ve seen from businesses that describe themselves as cycling-related within our customer base, certainly. When we look at those customers, we see that increase in turnover, but that’s exclusive to Barclays’ customer data,” India Smyth, media relations manager at Barclays, told BikeBiz. While this may be spurious there’s at least some PR goodness for one bike shop: Pennine Cycles is featured in the release. Co-owners Paul and Sandra Corcoran are reported to have said (somehow jointly): “It’s fantastic to see how cycling has become such a fashionable hobby – ever since the Tour de France visited Yorkshire back in 2014, we’ve seen an increase in people of all ages coming into our store and falling in love with the sport."